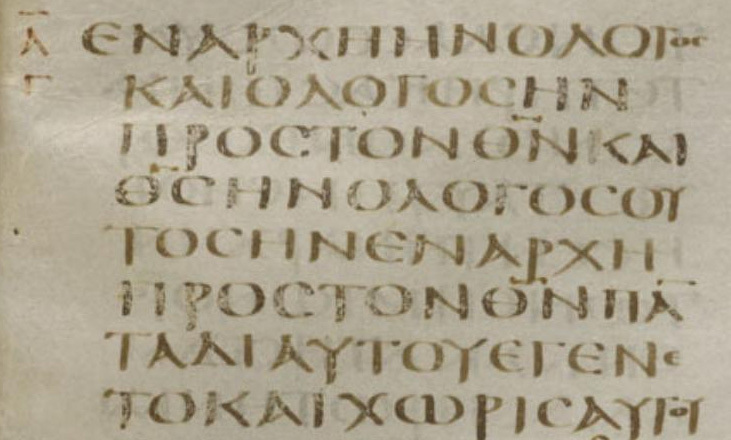 Image from the Codex Sinaiticus. Why translate again a work so often done already? Is there anything new to be gained by publishing another ream of Iliads, Homer’s epic whose number of translations (and transmutations) might come second only to the Bible? When The Economist’s recent review posed this question, it offered an oblique but important answer. Ms Oswald’s “Memorial” strips the “Iliad” down to its bare bones, capturing the terrifying brevity and brutality of the deaths (240 named, many more anonymous) that Homer depicted. With no gods in her version, it could seem rather bleak. And yet there is a liveliness to her poem—part elegy, part war memorial—that prevents it from becoming so. Ms. Oswald has done what so many generations of poets and thinkers and humanity have done before her: return to a timeless work in search of answers to the anxieties that we all continually face. War, brutal and bloody, is still with us. And Homer’s reflections capture, in language stark but elegiac, the same mixed feelings we feel about the heroism and failure that feckless bloodshed and honorable service evoke. The developers of humanities curricula know this fact well. They have their students read the great texts of past civilizations precisely because those works are valuably foreign and familiar. The same basic tensions that animated poets and philosophers long ago—between war and peace, love and hate, right and wrong, personal gain and social justice—still face us in crisis today. Yet, their responses have just enough alterity—they are just enough the Other—that they provoke us out of our own complacent worldviews into seeing the world from a different perspective. Certainly the writers of long ago had their own blindnesses that we see and ridicule today; but just as certainly are we blinded by our own faults, which might just be transparent to those men and women of an earlier age. But the translator goes further. The translator’s task is not merely to make these books of other days and other tongues available to the people of our modern world—though certainly that is a most important job and the one for which they are most liable to be paid and considered productive members of the information economy. No, the translator approaches his work—or at least, ought to approach his work—out of a deeper love, a deeper commitment to the entire textual edifice. The translator finds in her work a stronger and sometimes stranger exploration of love and hate, vice and virtue, tenderness and cruelty, than is just available to the general reader, whether of the original language or of the translation. The true translator must first be a lover. She must love the text she is translating, for the relationship between her translation and the source text is the relationship between a mother and a child, and she is the surrogate. The translator must give birth to her translation and devote herself to it completely, nourishing it with tender affection lest her child be anything less than the greatest fruit of her deepest love. Our translators have a far greater reverence for the usage of their own language than for the spirit of the foreign works (…). The basic error of the translator is that he preserves the state in which his own language happens to be instead of allowing his language to be powerfully affected by the foreign tongue. Particularly when translating from a language very remote from his own he must go back to the primal elements of language itself and penetrate to the point where work, image, and tone converge. He must expand and deepen his language by means of the foreign language. It is not generally realized to what extent this is possible, to what extent any language can be transformed, how language differs from language almost the way dialect differs from dialect; however, this last is true only if one takes language seriously enough, not if one takes it lightly. This is no fanciful play on words: the task of the translator is truly one of faith that must take him to the deepest levels of his soul and to those heights from which he might glimpse, if only for a second, “the predestined, hitherto inaccessible realm of reconciliation and fulfillment of languages.” This becomes especially true for me as a translator of medieval texts, for they are the products of a worldview whose very foundations inhere in the nature of God as Word. In pricipio erat Verbum must be as much the translator’s creed as it is the Christian’s. But even the translator of Homer is making the same act of faith: she pledges her belief in the power of human ideas to cross space and time and offer insight, solace, even indignation. The translator, whether consciously or not, submits himself to a higher plane of reality in which the barriers of human language dissolve in the face of the Word. As ambivalent as Benjamin’s relationship with the idealists was, his translator’s insight confirms the reality—or perhaps superreality—of the ideal. And it is no accident that Derrida turned to the philosophies of language propounded by Augustine and Scotus as the starting point of his own exploration of sign and signified. Whether Christian or not, the best translators succeed because they engage in their labors precisely in order to break the flimsy bonds of benighted human vision, driven by the desire to look up and behold the face of God. For reflected in His Word-made-flesh are the deepest pains and greatest joys the human can know. Translating is one task in which we can come closer to that most human reality. Of course, you're talking about a specific type of translation. As I translated a document the other day (German to English, a grant proposal) I did not have the love of the text you describe as necessary (perhaps I do love it, but only as the efficient cause of my increase in funds). 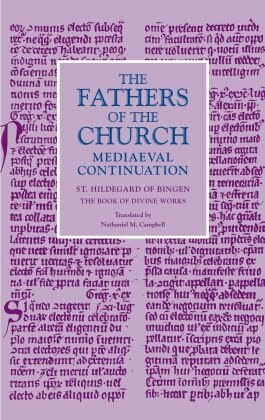 In any case, yours is a nice meditation on what translators do who work with ancient/medieval/early modern texts in particular. You are right that there is a difference between the utilitarian translation of day-to-day documents and the more devoted work of translating Homeric epic, medieval romance, or Dostoyevsky. At the same time, even the quotidian process of passing from language to language dips its toes, so to speak, into the ocean of transcendent meaning. The more multiple languages speak amongst themselves, the more the transcendent language, the Urwort, appears in their discourse. Or at least I'd like to think so. You certainly make a great case for a Romantic experience of translation. Translating is interpretation and reading as well. My Dr. Vater always says that one must truly kneel down into the text in order to grasp the meaning, and at the end of the day, that kind of prostration is a wonderful thing. I felt that when I read the Confessions in Latin and was at a level where I saw how the word play in Latin adds shades of meaning to the words themselves (I'm thinking of all of the rhetorical figures that Augustine employed as a well-trained Latinist). After those moments, I remember thinking--it's almost not right to translate this work into English, because we cannot truly convey the fullness of meaning. Later, I recognized both the truth and the pomposity of that thought. We must translate, even though our interpretations (and the strictures of language) leave something to be desired. So I guess I'm providing the glass half-empty to your glass half-full here! In RE: Garnett vs. Pevear/ Volokhonsky, I would suggest that Anna Karenina be a good starting place. That is a beautiful novel, breathtaking in its depth. I think it's as close to perfect as I have ever read. They are careful and scholarly in their approach, and I think even Nabokov might approve. Or at least he might not wish them dead (which is as close as most people ever got to his approval). I'm enjoying your blog, btw. "No, the translator approaches his work—or at least, ought to approach his work—ought of a deeper love, a deeper commitment to the entire textual edifice." Did you mean to say out of a deeper love? As someone who is only proficient in my mother tongue, I have a deep respect for anyone who manages to convert not just the meaning, but the tone, the mood, the rhythm, and nuances of one language into the prose and poetry of another. Yes, something is usually lost in translation, but, if done well, something of nearly equal value has been added. I can readily see why you refer to the act of translation, of capturing the essence of a work, as a labor of love. It has to be, to mirror the labor which created the original. Thank you also for the rest of your comment -- the reason I am only now replying is that you posted just as my wife was going into labor with our first child (a boy). Thus, there is now even more poignancy for me in seeing translation as a maternal labor of love.